1. Do not directly choose according to your habits, please choose the appropriate size according to the size table, or you can tell us your size, we are happy to give Suggestions. 2. Due to different measurement methods, there may be an error of 1-2 cm in the size of data. The method we use is tile measurement, please pay attention to it when measuring. 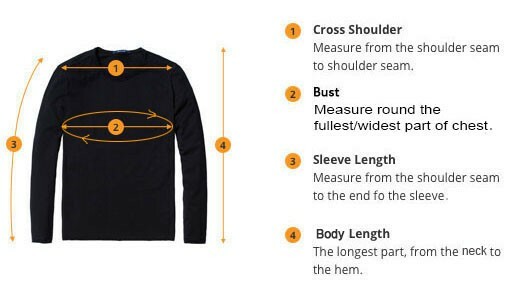 To choose the right size for you, please measure your body as follows.